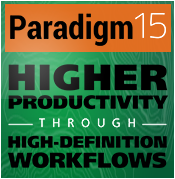 Two upcoming on-demand webcasts will be presented by Paradigm subject matter experts on April 30 and May 14. In these video sessions, you will learn about advanced geoscience solutions that can help you minimize risk and maximize production for more cost-effective drilling with Prestack Visualization and Quantifying the Impact of Fault Position Uncertainty. Quantitative seismic interpretation is routinely applied in different stages of the reservoir development cycle, such as reservoir identification and delineation. The success of a quantitative seismic interpretation project requires high-quality prestack seismic data. The importance of effective prestack data QC and evaluation cannot be overemphasized. However, the visualization and analysis of prestack data have been challenging not only to reservoir characterization specialists, but also to seismic processing and imaging geophysicists, due to its size and hardware/software limitations. Today, Paradigm provides sophisticated and efficient prestack visualization and analysis solutions based on its industry leading visualization and interpretation canvas, enabling users to quickly visualize, interpret and analyze prestack data. Accurately determining and positioning faults is of utmost importance in the characterization of oil and gas reservoirs, as they often determine the extent of the reservoir and its internal compartmentalization. It is recognized that there is tremendous uncertainty associated with fault interpretation, yet little is done to quantify that uncertainty and even less to propagate it through to 3D modeling and flow simulation. Fault uncertainty affects, among other things, hydrocarbon in-place volumes, well positioning, fault seal calculations, and of course reserves. It is seldom considered during history matching. The main reason is that until now, it has been technically tedious to modify a fault model and the associated reservoir grid once it is computed, and still preserve the integrity of the structure. The 3D grid generally has to be reconstructed manually. A new approach based on the SKUA UVT Transform® will be demonstrated. It enables the stochastic simulation of a complete structural model, including multiple horizons and faults, for automatic updating of the associated geological model. Combined with petrophysical uncertainties, this approach enables us to quantify the impact of structure on reservoir volumes and connectivity, as well as on production forecasts.